As a small business owner, you know that selecting the perfect office equipment for your company can be challenging. And, with so many options available, wading through all the bells and whistles can be daunting and time-consuming. Whether you need a top-of-the-line multifunction printer or a basic black-and-white copier, here are some guidelines to help you find the best match for your business. When it comes to device features, think wants versus needs. Yes, there are a ton of great options, but it's imperative to recognize which ones you truly need. A multifunction printer that can handle copying, printing, and scanning might be all you need. However, there are tons of finishing options like folding, stapling, collating and are available if required. 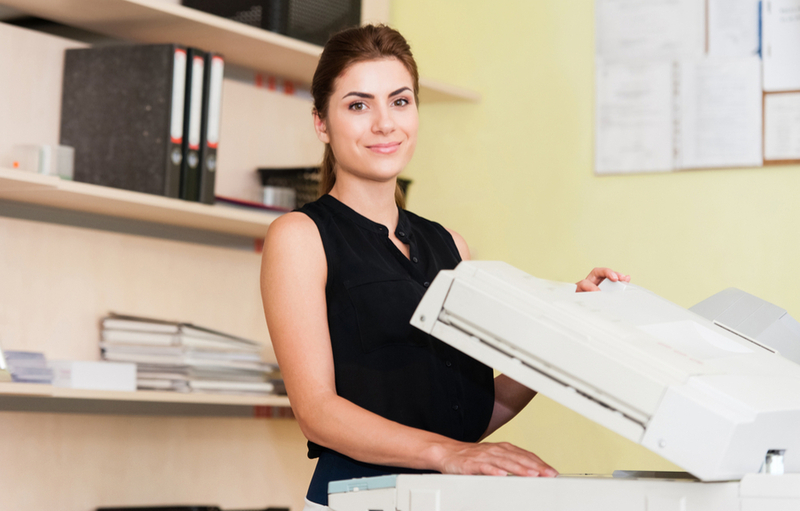 Consider what types of jobs you need your office equipment to perform and start there. Your business needs may not demand the need for a full-color printer, meaning you can save money with a black-and-white one. How much you print is just as important as what you print. Before selecting a printer, consider how many pages you print on a daily, weekly, and monthly basis. You need a copier that can keep up with your demands regardless if it means 20 pages a day or 200. A print assessment is a great starting place to determine your volume demands. Although it might be the least fun consideration, the budget is one of the most important. First, explore the option or leasing versus purchasing your printer. Then factor in your current costs, such as your average cost per page, current expenses, supplies, and service agreements. If this seems too daunting a task, don’t worry a print audit and managed print services can do the heavy lifting for you. Beyond these three considerations, you also want to take into though the types of documents you print and who your target print audience is. For example, if most of your documents are for an internal audience, such as meeting agendas and handouts, the device you select will be very different than if you are creating graphic-based jobs for clients. No matter your needs or budget, there are various office equipment options available for your small-to-mid-sized business. Not sure if it is time to upgrade? Keep reading to learn more.